The Ford Escape is the perfect option for St. Charles drivers who are searching for a spacious SUV that’s easy to maneuver. Peruse our inventory below, then contact us to schedule a test drive or learn more about Ford Escape lease deals! 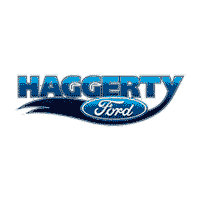 When you’re ready for the next steps, stop by Haggerty Ford near Aurora! Our Ford specialists are excited to help, and when the time comes, our finance professionals will help you secure a lease or loan. To get started from home today, apply for financing online and get pre-approved. While you’re at it, be sure to check out our new Ford specials! Having trouble deciding between the Ford Escape and the Ford Explorer? Compare the Explorer vs. Jeep Grand Cherokee to learn more about the superior interior and fuel economy of the Explorer.